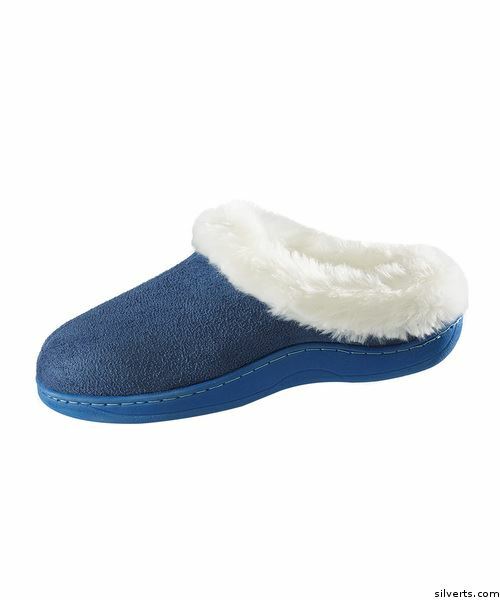 What a terrific price for these Luxurious Open Back indoor outdoor Womens Slippers. Quality faux soft suede slippers with warm faux fur trim for spa comfort in and out of your home. Cushy foam sole insoles. Slip-resistant durable soles that are strong and sturdy. These perfect house slippers by Silvert offer the added convenience of being able to slip them off and on without any closures like mule slippers. These soft warm cozy bedroom slippers make a terrific gift for ladies.